Nenu Local 1st Day Collection Opening NL First Friday Box Office Business and Occupancy Report: The latest venture of director Trinadh Rao Nakkina, Nenu Local, the Telugu movie has got an excellent response on its opening day. It did superb income from the premiere shows in the US and became the biggest for Nani there. The actor has a huge fan following in the North America. Nani has increased his star power with the recent releases which got hit one after another. The demand and price for his film’s theatrical rights have increased to a significant level, and the credit goes to his back to back success at the boxoffice. BlueSky Cinemas purchased the rights for a whopping amount of Rs. 3 cr which is a record. The distributors in the US made it the biggest release for Nani by booking around 130 screens alone in the country. The benefit/ premiere shows were a success across the nation which took place on the night of Thursday. As of now, there is no significant competition from India in the US box office. Thus, Trinadh’s directorial will enjoy the first week at its best. But, it will face a huge competition from Suriya’s Singam 3 aka S3 which releases on February 9, 2017, all over the world. However, speaking of this time, the movie produced by Dil Raju has witnessed an incredible response starting from the premiere shows in the overseas market. Read Nenu Local film review. Check: Bogan box office collections 1st day. The figures of BO income are being calculated, and the exact numbers will be out soon and updated here. The early estimates of the first day collection of Nenu Local reach to about $130,831 at the US BO as the premiere shows’ earnings. The latest news says that the final figures will be around $200k and it will be updated in the morning as reported by BoxOffice Telugu. 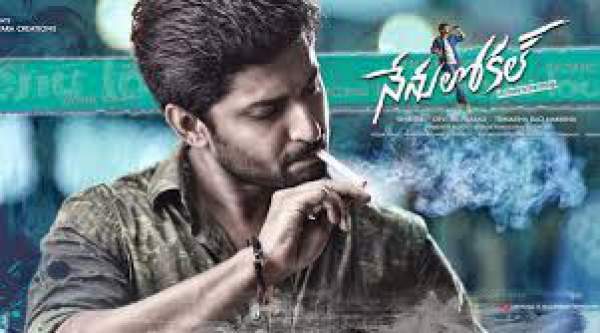 The actor Nani last movies Bhale Bhale Magadivoy, Krishna Gaadi Veera Prema Gaadha, Gentleman earned $70,132, $41,369, $71,938 and $58,000 approximately respectively, from the benefit shows in the United States. His latest movie has surpassed all the old records and became his biggest opener. Overall, NenuLocal has garnered mixed reviews from both the critics and the audience. Though the majority of the reviewers found the story an average, all of them have appreciated the performance of Nani. He has made the film engaging. Word of mouth will play an important for its business. The positive word of mouth is expected to make it another $1 million grosser after Bhale Bhale Magadivoy. What do you think of lifetime Nenu Local box office collections? What will be its income in the first weekend? Any guesses, feel free to share with us. Stay tuned to The Reporter Times for Latest Tollywood News and other Entertainment updates across the globe.